It's been a big year for Resident Evil fans. Two new games were released and the next mainline game, Resident Evil 6, was also announced. Those other titles have come and gone, now it's time for the main course. There were some great and genuinely dramatic moments in the E3 demo, we'll find out whether that applies to the rest of the game on October 2nd. When it released back in 2009, Little King's Story acquired the somewhat dubious honor of becoming one of the Wii's hidden gems. Now its sequel - New Little King's Story - is just around the corner and set to make its debut on the PS Vita. This is our wildcard pick for October. Dishonored was one of the most praised titles at this year's E3. Nick, in his hands-on preview, described it as "Deus Ex meets BioShock" - pretty high praise indeed. Dishonored looks set to be one of, if not the best release of the month. The newest installment in the Xbox 360's premier exclusive racing franchise also releases in October. This isn't your usual Forza fare, however. New developers, Playground Games - consisting of former staff of Codemasters and Bizarre Creations - have been brought in to work alongside Turn 10 on this completely new, open world spin-off for the franchise. Last, but certainly not least, we have Assassin's Creed III. Our runner-up for Game of the Show at this year's E3, It's already being tipped to win its fair share of Game of the Year Awards. We'll find out if Ubisoft's new direction for the series delivers on the hype it's generated at the end of October. Multiplayer has never been the most exciting thing about the Crysis games. I’d even say that gameplay, sound and story aren’t even the main focus of the series. We all know that when we think about Crysis we think about one thing: graphics. I may as well get this out of the way first then by telling you that yes, this game looks amazing. Shocker, right? One again Crytek have created a game that looks astounding. Everything from the weapons to the water looks brilliant and I have no doubt that Crysis 3 will be competing for the title of best looking console game. Now that we have that formality out of the way, it’s time to talk about the multiplayer aspect of the game. The demo on display at Eurogamer was showcasing a new multiplayer mode called Hunter Mode. In this mode you either start as a cell operative, or a hunter. If you begin as a cell operative then you are tasked with only one objective: survive. As a hunter on the other hand you’ll be stalking your prey across the map, lurking in the shadows with your bow and arrow until you pick that perfect, immensely satisfying shot. The game mode is unbalanced, but that’s the point. As a hunter your prey will show up on your radar, your bow and arrow will generally kill someone with one hit, and you have the ability to turn invisible. Essentially you’re better than the other guys in every way. Cell operatives do have weapons, but what good are they when your enemies are invisible and can track your every move? Don’t worry though, as soon as you are killed by a hunter, you will join their ranks, slowly picking off the people that you used to be allies with. It’s a cruel and immensely entertaining prospect. A full game consists of 5 rounds, with players swapping sides every round. This means that you’ll have plenty of time to play as both a hunter and the survivors. The dynamics of this game mode make it one of the best multiplayer demos I have played all weekend. It’s a shame then that the people who pick up Crysis 3 may never even venture on to the multiplayer portion of the game. I highly recommend that you spend some time on multiplayer if you do purchase Crysis 3, because if my time with the game is anything to go by, I can guarantee you’ll be pleasantly surprised. 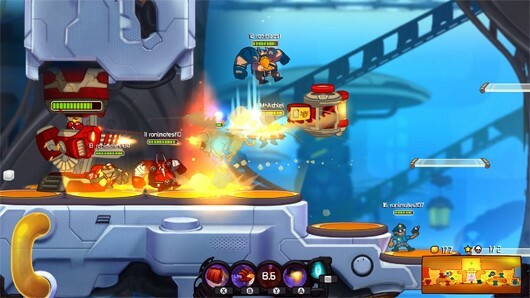 Ronimo Games recently announced a new character for Awesomenauts, Skolldir the "terribly overweight space viking." Skolldir is voiced by Simon from The Yogscast gaming channel. Check out the announcement trailer and gallery for this large, melee-heavy character after the break. New Awesomenauts character voiced by Simon from The Yogscast originally appeared on Joystiq on Sun, 30 Sep 2012 16:30:00 EST. Please see our terms for use of feeds. The PC version will get Bring Down the Sky and Pinnacle Station for the first Mass Effect; Mass Effect 2 comes with the Cerberus Network, which includes Zaeed - The Price of Revenge, The Firewalker Pack, Cerberus Assault Gear, Arc Projector heavy weapon, and Normandy Crash site mission. Mass Effect 3 includes the Online Pass with access to multiplayer. Xbox 360 won't get Bring Down the Sky or Pinnacle Station on-disc, but both will be available as standalone DLC via Xbox Live. Mass Effect 2 gets the Cerberus Network and Mass Effect 3 the Online Pass. Information about PS3 DLC is coming "soon." The original Mass Effect will launch as a digital standalone on PSN on the same day the Trilogy launches for PS3, for $15. 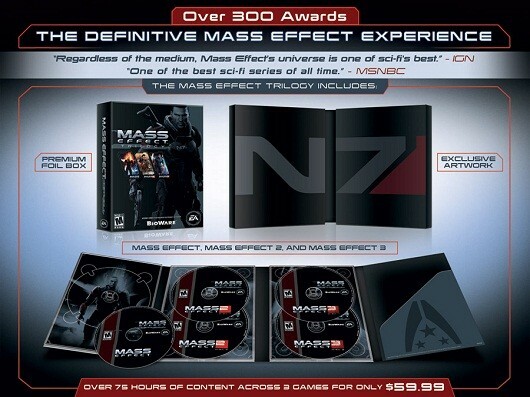 The Trilogy is compatible with other versions of the Mass Effect games, meaning players can transfer saves from previous games to the Trilogy games, and Mass Effect 3 multiplayer is playable between versions. Considering the Trilogy is Mass Effect repackaged for the holiday rush, it'd be more surprising if the games were truly a separate beast and weren't compatible with previous releases. There's still no sign of the Trilogy coming to Wii U, which gets Mass Effect 3 on launch day, November 18 in the US. The Wii U version includes the Extended Cut ending and the From Ashes DLC. Mass Effect Trilogy DLC gets down on PC and Xbox 360, PS3 info to come originally appeared on Joystiq on Sun, 30 Sep 2012 15:00:00 EST. Please see our terms for use of feeds. The final installment of the Halo 4: Forward Unto Dawn vignette series debuts the Hastati squad from the Corbulo Academy of Military Science, which fight for a cause they don't seem to believe in. The live-action mini-series kicks off on Halo Waypoint and Machinima Prime on October 5. 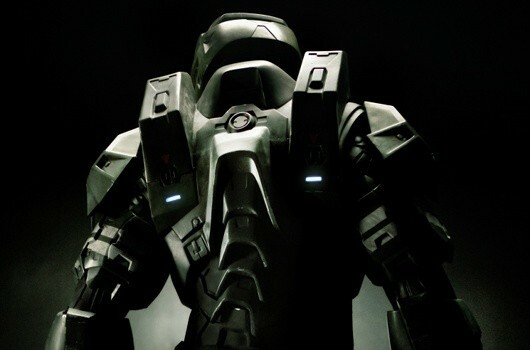 Final Halo 4: Forward Unto Dawn vignette debuts squad originally appeared on Joystiq on Sun, 30 Sep 2012 10:30:00 EST. Please see our terms for use of feeds. 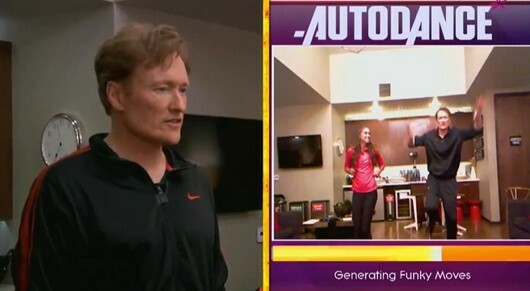 Comedian and late night talk show host Conan O'Brien recently went toe-to-toe with Olympic soccer gold medalist Alex Morgan in Ubisoft's Just Dance 4 and offered his review of the game. Based on O'Brien's review scale, we give this video a 22. Just Dance 4 is scheduled to launch October 9. Conan O'Brien reviews Just Dance 4 with soccer gold medalist originally appeared on Joystiq on Sat, 29 Sep 2012 22:00:00 EST. Please see our terms for use of feeds. Well, it’s Call of Duty all right. Every year we follow the same procedure. We’ve been conditioned to accept it, if not necessarily like it. November comes knocking on our door, and with it comes the next instalment in the colossal Call of Duty franchise. I, like most of the world’s population, have played Call of Duty before. I would even consider myself a fan of the franchise, although I don’t buy it annually; this is largely down to the fact that I believe Call of Duty has deteriorated in quality over the past couple of years. It was with some surprise then that I found myself excited for Black Ops II. It looked like Treyarch wanted to change things up, make multiplayer more dynamic than ever, and possibly win back the loyalty of wavering fans like me in the process. Well, it has worked. Sort of. After putting the game through its paces for 20 minutes I can confidently say the game has changed. The first major difference you’ll encounter is a huge one, and it will change the way you play. Custom classes have been completely revamped. Rather than selecting a primary weapon, secondary weapon, 3 perks and so on and so forth, you can now completely personalise your class. In Black Ops II each custom class has 10 slots. You can fill these slots with whatever you want, leaving out whatever you don’t want. Don’t want to use 3 perks but want more attachments? Attach away. Never use secondary weapons but want more grenades or gadgets? Get picking because there’s a lot to choose from. Black Ops II allows you to tailor your classes entirely to your style of play. It’s liberating and makes the old system feel constricting and something of a killjoy. When I was eventually put into a game – I played Kill Confirmed and Multi-Team Deathmatch – it felt comfortable and looked great. It still controls, feels and generally plays like the other Call of Duty titles, but don’t draw negatives from that. The futuristic aspect of the game isn’t overwhelming or all together that noticeable, but what it allows for is a fresher take on the Call of Duty formula so many people are fond of. The weapons I could choose from were all new additions. New gadgets and attachments add some much needed tactical depth to proceedings, whilst the new kill streaks are varied and quite frankly awesome: the guy in front of me got punished by a giant exploding boomerang. The two games I played took place on different maps, and again I was pleased with what I deem an improvement in design. Maps were large and varied in design. This increase in variation meant I could play exactly how I wanted to play. Both of the maps had plenty of open spaces, choke and flanking points, and lots of elevation to keep you checking those windows as well as the corners. Ideally this will result in multiplayer games staying fresh and tactically engaging, rather than becoming stale and repetitive. My brief play time has left me feeling very encouraged. I expect Treyarch to deliver the goods this November; perhaps even more shocking is the fact that I actually want them to. I should never have played this game, but you definitely should. You see, when I sat down to play Playstation All-Stars: Battle Royale I found another game in front of me. Not the highly anticipated Sony Brawler, but a rather curious title that goes by the name of When Vikings Attack. I assume you’re wondering how I mistook this game for Playstation All -Stars? Well, it was situated directly to the left of the Playstation All-Stars booth: a move that is clearly a cunning ploy to coax unwitting gamers into trying this quirky little gem. So, sat there as I was, with the All-Stars booth full, I decided to play and I soon realised that my mistake has led me to discover one of the best games at the show. What? Why? How? You ask. Simply because: this game is fun. Sometimes, games don’t need ultra-realistic graphics, fully orchestrated soundtracks and a body count in the millions to be fun. Sometimes, they just need to draw you in and make you laugh. That’s exactly what When Vikings Attack did. In fact, for sheer entertainment value it can easily match or beat many of the supposed top games on the show floor. The game puts you in command of a small troop of characters, who must do battle with an opposing possé controlled by another player. To win this ‘fight’ you must run around the arenas, each with their own distinctive setting and style, and pick up objects that you must then fling at the other group. If your object hit the opposition, it may send them sprawling or could even cause them to come and join your rather cute group of ruffians. Objects can range from a simple garbage bag, to a rocket the size of a human. The key to the game is eliminating the entire opposing group in one way or another before the time runs out. Once you win 3 games in a row you will have won the round and only then can you proclaim yourself ultimate champion. When I tell you that When Vikings Attack is one of the best games I have seen at the Expo this weekend you’ll realise just how much I enjoy this game. It’s fun, addictive and has some charming cel shaded graphics to boot. Get this game on your radar. Motorola Mobility (now owned by Google) obtained an injunction against Microsoft in Germany that would have prevented sale or import of Xbox 360s, among other Microsoft devices earlier this summer, over H.264 video encoding technology owned by Motorola and licensed for use in MS devices. Now, the 9th Circuit Court of Appeals has ruled that Motorola cannot enforce the injunction. You might be asking what we asked at first. How can a US court rule on a decision made in Germany? Microsoft previously sued Motorola for breach of contract in the US, allowing the court to consider the whole matter subject to US law. "At bottom, this case is a private dispute under Washington state contract law between two U.S. corporations," the court's ruling reads. US court: Motorola can't enforce German Xbox injunction originally appeared on Joystiq on Sat, 29 Sep 2012 19:00:00 EST. Please see our terms for use of feeds. Counter-Strike: Global Offensive will receive a sizable update on Monday, according to a recent developer blog. The update will include a revised matchmaking system for Classic Competitive mode and number of bug fixes. Valve will also release two new maps for the game with the update: Monastery and Vertigo, the latter seen in the above image recently tweeted by the Counter-Strike team. Valve has not specified which platforms the update pertains to, but we're guessing the Steam version is on that list. 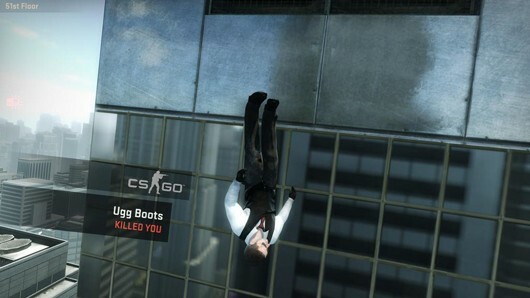 Counter-Strike Global Offensive getting 'major update' Monday originally appeared on Joystiq on Sat, 29 Sep 2012 17:30:00 EST. Please see our terms for use of feeds.